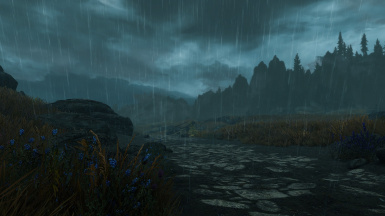 Completely merges all audio and effects of True Storm's stormy weathers into Rustic Weather's weather system, provided in two different versions for your visual preference. 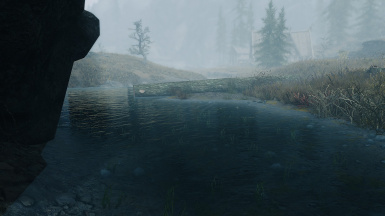 -In the Water's Edge Fix versions: carried over the fix into a few of the TS unique weathers that were previously missing it. 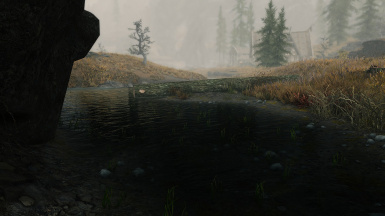 -Updated all versions to Rustic Weathers V33. 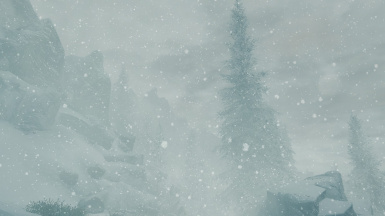 -Added compatibility patches for both Sounds of Skyrim and Audio Overhaul. -Redistributed the newly added thunder audio in Rustic V33 into all stormy weathers alongside those added by True Storms, for maximum thunder variety. -Slightly reduced the thunder frequency to hopefully alleviate a rare glitch that would sometimes cause thunder sounds to keep looping long after a storm had stopped. 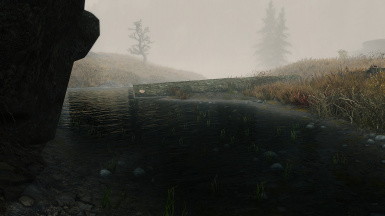 -In the Water's Edge Fix versions: incorporated the fix into a few more vanilla weathers that badly needed it. 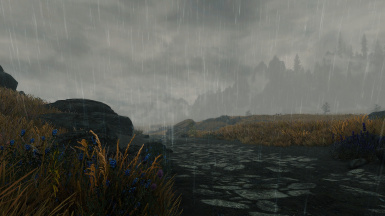 Yet another merged compatibility patch to make True Storms compatible with Rustic Weathers And Lighting. True Storms includes a lot of subtle effects that might not seem like much at first glance, but they go a long way to add atmosphere and intensity to stormy weathers. 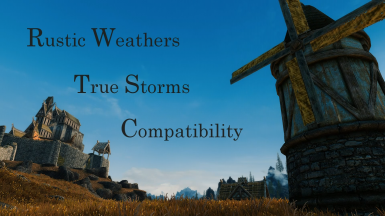 I have yet to find a weather mod that didn't benefit from the added audio and particle effects that True Storms brings to the table, so while this is indeed a compatibility patch, I like to think of it more as stormy weather overhaul. Even if you weren't planning on including True Storms in your load order, I highly suggest giving this setup a try, as True Storms really does a fantastic job at amping up your storms. Hopefully you will enjoy it as much as I do! 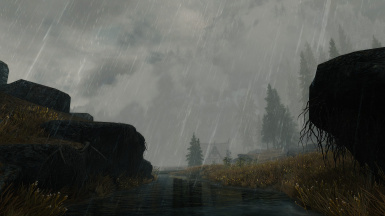 -Completely overhauls the audio and effects of all of Rustic's stormy and rainy weathers by merging the 30+ thunder, wind, and rain sounds from True Storms in with Rustic's system. All audio was distributed evenly throughout all weathers to ensure that no two weathers ever look or sound the same. 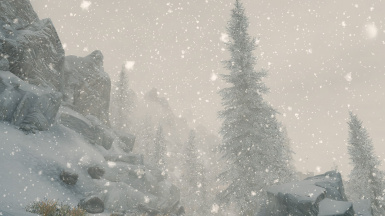 -Redistributes a few of True Storm's unique weathers into Rustic's region data where it made sense to do so, taking special care not to add weathers that might seem out of place in Rustic's weather system. 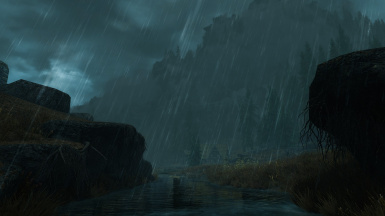 -Tweaks the Solstheim regional data to include the added variations of ash storms from True Storms, and provides support for those added by Wet&Cold for a completely revamped Solstheim weather system. -Comes in two versions for visual preference. 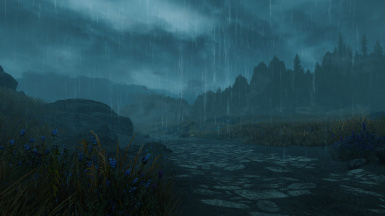 Both versions contain all of the above features, they simply change the "aesthetic" of your stormy weathers purely by tweaking things like ambient lighting, coloring, fog settings, etc. 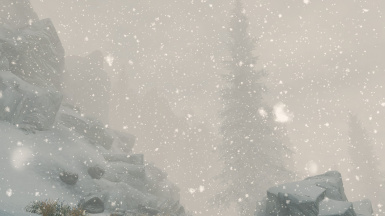 None of Rustic Weather's main features have been altered in this patch. This version keeps nearly all of the original stormy aesthetic from Rustic Weathers, with the addition of True Storms rainy/snowy effects and audio. If you were looking for a version that only carried over True Storm's effects and audio without changing anything from Rustic Weathers, then this is the version for you. This version keeps more of the aesthetic of True Storms, but blends the two together more evenly and darkens the atmosphere a bit for some added intensity. If you were looking for a version that keeps more of True Storms aesthetic, then this is the version for you. If you are updating to a newer version, simply uninstall the old one and install the newer version. This is completely safe to do mid-game. Make sure you only choose one of the four versions provided. The optional Water's Edge Fix versions are identical to the original main files, they simply directly incorporate LoD7995's fix in with the merge for those users that were still getting the blocky water edges. If you are using one of those versions, you no longer need to load his Water's Edge Fix patch. -Audio Overhaul - Incompatible due to some sound edits AOS makes to the region data, but I've included a compatibility patch to remedy this. This patch can safely replace all other AOS patches that you might have been previously using for Rustic, True Storms, or both. 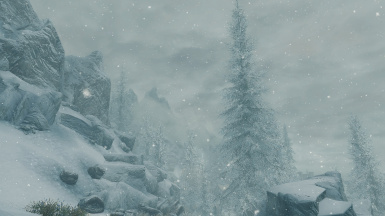 -Sounds of Skyrim - All versions - All Sounds of Skyrim plugins are incompatible due to some sound edits that they also make to the region data. 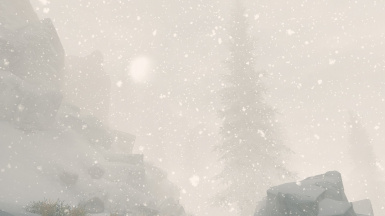 I've included a compatibility patch for Sounds of Skyrim Complete, but please do keep in mind that this patch will not work for any of the standalone SoS versions (like The Wilds). This patch can safely replace all other SoS patches that you might have been previously using for Rustic, True Storms, or both. 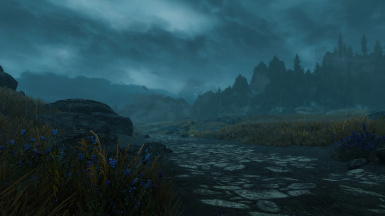 -Wet & Cold - Almost fully compatible, it only changes weather records for ash storms in Solstheim. 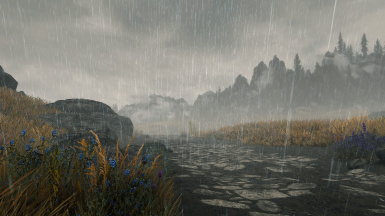 I've created a compatibility patch to ensure that Wet & Cold's effects will be registered in all of Rustic's and True Storm's unique Solstheim weathers, which can be found here. -Minty's Lightning - 100% compatible with everything, as it only adds its own new effects into the game. However, there are a few unique stormy weathers in True Storms that would not receive the new lightning effects without a patch, so I've created one here to carry those over. Rustic does not add any of its own unique stormy weathers, so you are safe to use the standalone version of the Minty patch with this setup. 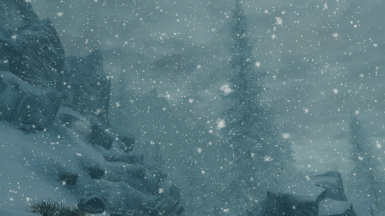 Of course, huge thanks to Arindel and fadingsignal for the fantastic weather mods! And another HUGE thanks to LoD7995 for figuring out the water's edge fix and allowing me to incorporate it directly into my patches! You're awesome!